I have a computer problem that is causing the double postings. Is this going to be the nameplate that got scratched by The Winged Avenger. I saw a post somewhere years ago where someone had identified the exact comic that was used but I can't remember where I saw it now. Yes Michael it is I'm just waiting for the white paint to dry before doing the lettering. I'm also working on the claws in order to build the full costume. I always believed it was a black body suit, I didn't realize until yesterday that the outfit was actually a black long sleeve leotard on top of dark blue tights. Very odd items to choose for a man to wear. I'm also working on the claws in order to build the full costume. I didn't realize until yesterday that the outfit was actually a black long sleeve leotard on top of dark blue tights. Odd items to choose for a man to wear. This also turns up in the episode Epic during one of the scenes set inside the disused film studio. Have you tried searching on 'comic book'. I'm sure Neil Allsop reproduced this after a fashion for one of the early treasure hunts events, with all attendees receiving a copy. 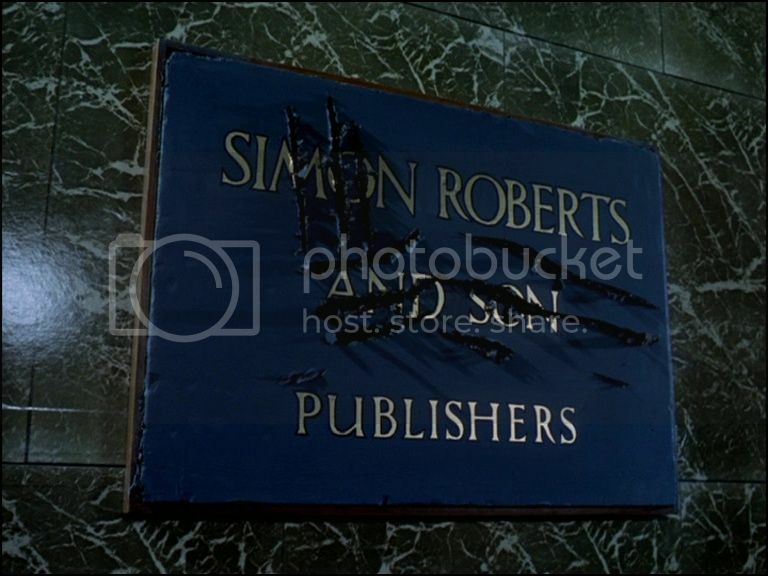 I know the Roberts & Son sign appears, not sure about the Winged Avenger Enterprises sign. There's also the painting from From Venus with Love (before & after) as well. There were two signs, the second one here from The Winged Avenger has uneven edges and appears to be made from plastercine, hence huge scratches can gouged out of it very easily. 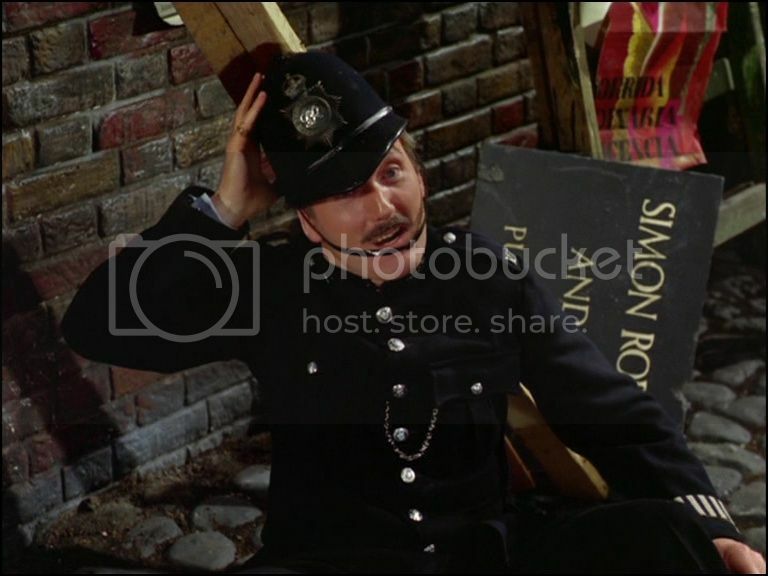 The second more solid one reappeared in Epic after David Lodge playing the film extra policeman played out his usual death scene for Emma and fell to the floor. It can be partially seen behind him. Some years ago at The Avengers at 50 event at Chichester University, Richard Harris spoke about his inspiration for the Winged Avenger character and this was the American comic books he used to read and he name checked both Batman and Superman. Hence, I think the tights were in keeping with the skintight costumes worn by comic book superheroes. As I'm sure you know the British comic artist Frank Bellamy drew some comic panels that appeared in the episode and I think (although I have no proof) that his artwork will have assisted in the design of the Winged Avenger costume. I think the tights were in keeping with the skintight costumes worn by comic book superheroes. Makes sense, the tights with the pants on the outside I get completely, it's more the leotard that throws me, just looks very feminine. Lordy, that's quite enough of that nonsense for one day !